More than 80% of exhibition space has already been sold for SPE Offshore Europe 2019, the organisers said. And a fifth of the companies which have bought booths will be exhibiting for the first time. The showcase comes to the Granite City every two years and has been held at the Aberdeen Exhibition and Conference Centre since 1985. The next event, which runs from September 3-6, 2019, will take place at The Event Complex Aberdeen (Teca) near Aberdeen International Airport. It is organised by the Offshore Europe Partnership, a joint venture between Reed Exhibitions and the Society of Petroleum Engineers (SPE). They would not say how many exhibitors had signed up, so far, and believe it is too early to forecast whether next year’s edition is likely to be the biggest ever. But a spokeswoman said bookings were ahead of levels seen in the run up to the last event, in 2017. About 36,000 people and 900 exhibitors representing 130 countries attended Offshore Europe last year. Major operators and suppliers have committed to exhibiting next year, including ABB, Aker Solutions, Emerson, Schlumberger, Shell, Weatherford, Wood and WorleyParsons. Following the success of the inaugural ENGenious conference in Aberdeen this year, organisers have decided to set up a zone highlighting advances in robotics, data analytics and automation. The show will also feature a bigger decommissioning zone, and a start-up area run by the Oil and Gas Technology Centre and social enterprise Elevator. Igor Tavares, exhibition director, SPE Offshore Europe 2019, said: “As well as the return of several large companies after a hiatus, roughly 20% of our exhibitors are new which demonstrates real excitement amongst the industry for the event to be taking place at the new venue. “It will be a complete refresh and is coinciding with the confidence we are seeing in the industry. 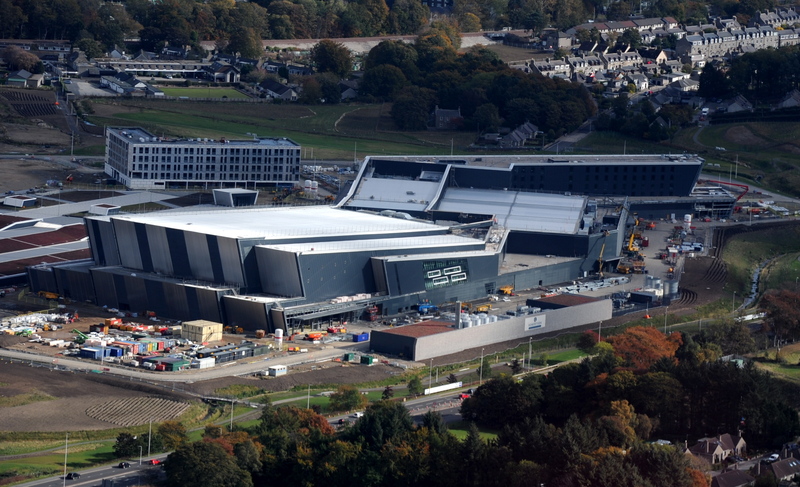 Councillor Douglas Lumsden, co-leader of Aberdeen City Council, said Offshore Europe 2019 will showcase Teca as a “world class venue”. Mr Lumsden said: “The investment in the complex by the council has been made with the aim of elevating the city’s position as a host of global events and we are pleased to be working closely with organisers as Offshore Europe draws closer. “Our regional economic strategy is clear about the importance of diversification – but equally places great emphasis on the continuing role of the energy industry in a prosperous future for Aberdeen. Michael Borrell, conference chair of SPE Offshore Europe 2019 and senior vice president, North Sea and Russia at Total, is leading the executive committee that has developed the 2019 theme: ‘Breakthrough to Excellence – Our licence to operate’.